SULLIVAN COUNTY AND SURROUNDING AREAS (December 15, 2014) – Catskill Mountainkeeper has been awarded a grant of $1.8 million from the State of New York to lead a collaborative project to increase energy conservation and solar penetration in the Southern Tier and Mid-Hudson regions. Lead partners in this project are the Binghamton Regional Sustainability Coalition, Sustainable Hudson Valley, and Cornell Cooperative Extension of Tompkins County, each of which brings extensive experience in conservation, renewable energy promotion and sustainable community development. The funding will come from Phase II of the Cleaner, Greener Communities (CGC) Program, within the New York State Energy Research and Development Authority (NYSERDA), and is being awarded through Round IV of Governor Cuomo’s Regional Economic Development Council (REDC) initiative. In 2013 Catskill Mountainkeeper launched Renewable NY to tackle the increasingly urgent need for communities to shift their energy consumption towards sources that are clean, efficient, and renewable. In early 2014 we launched RenewableNY.com, a central resource for information and actions that can be taken to advance renewable energy in New York State. The statewide program also facilitates partnerships between local non-profit organizations and community leaders to advance community-based projects, including solar bulk-purchasing campaigns that encourage the purchase of residential and small business solar installations. These educational and action-oriented campaigns have been proven to reduce greenhouse gas emissions and create economic growth in the renewable energy sector. 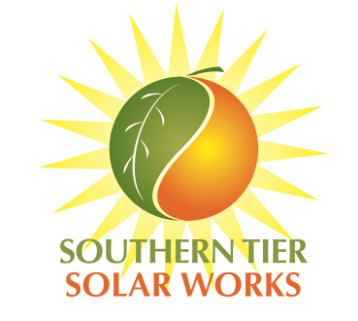 "Renewable NY Southeast" is a three-year, multifaceted, flagship project and bi-regional partnership between the four anchor community organizations, and is intended to raise public awareness about the benefits of and opportunities for solar, as well as to remove market barriers to increased solar installation. By aggregating hundreds of sign-ups for of solar installations in a short time-frame, a campaign of this sort can bring the cost per installation down from $20,000 to $4,000. The project’s main components will include an education and awareness campaign, a group purchasing program, and a work force development partnership with local educational and training institutions. Each of these initiatives is envisioned as a scalable and replicable model that can be implemented in other regions of New York going forward. Catskill Mountainkeeper will administer and manage the project, and will collaborate on marketing and community-based outreach with the two regional teams in the Mid-Hudson and Southern Tier. Sustainable Hudson Valley will implement the outreach plan in the Mid-Hudson counties of Dutchess, Ulster, Orange, Rockland, Putnam and Sullivan. 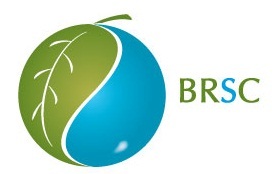 BRSC and Cornell Cooperative Extension Tompkins County will lead outreach efforts in Broome, Delaware, Tioga, Chenango, Tompkins, Steuben, Chemung and Schuyler counties. All four organizations will work with partnering educational institutions in the development of a Clean Energy Technology Training Consortium to increase opportunities for solar and other renewable energy-related job training in both target regions. Additional partners at the county and local levels will be engaged where possible and appropriate.